C43908-WH is rated 4.7 out of 5 by 106. 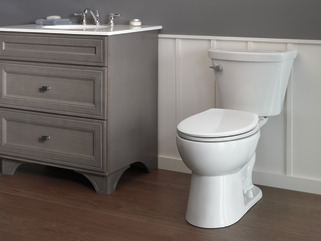 This Turner 2-Piece Elongated Toilet in White is beautifully designed for easy installation, maximum flush and water savings; Delta toilets are the smart choice. All Delta toilets feature the exclusive SmartFit tank-to-bowl connection. This technology eliminates potential leak points and the fear of over-tightening bolts. All while adding stability to the tank and making for an easier installation process. The Turner elongated bowl and chair height allow for greater comfort in a classic design with maximum flushing performance. At 1.28 gpf, this WaterSense-approved model makes for an excellent choice for any decor and budget. 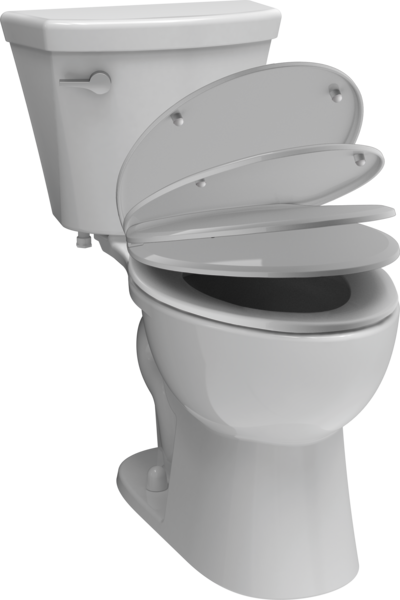 No additional tools are required to assemble and install this complete toilet. 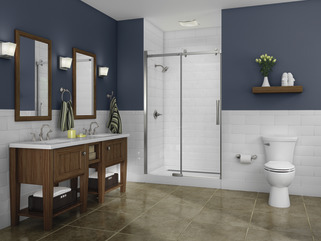 Rated 5 out of 5 by USnTHEM from Simple Install,Quality, Excellent Customer Service Purchased two Turner Toilets. My first time installing a toilet. Delta made it simple; the installation went smoothly. Removing the old toilets wasn't as bad I thought it would be. I had problem with the second toilet. Upon unpacking i noticed a portion of the base was broken off. I called Delta hotline and in no time the representative made available a new toilet for me to pickup at my home depot, same day. Thank you Delta. The toilets are made with quality, we really like them. Rated 5 out of 5 by Tommy from Excellent Toilet It works great. You flush it one time and you do not have to worry. Love the slow closing lid. 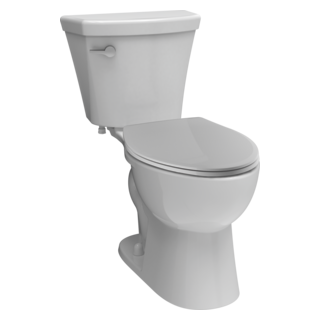 Rated 5 out of 5 by Glenn C from Nice Toilet Bought two of these toilets to replace two 14.5 inch models. They look good and work perfectly. Rated 5 out of 5 by Rick from Perfect for elderly or handicapped Easy to get off of because of the extra height. Oh yes, also saves money on the water bill! Rated 5 out of 5 by smitty from Great Design, Easy to Install I bought two of these for my home. I'm very happy with their look and performance. Rated 5 out of 5 by Ratsann from Has Everything I want This toilet has a flat tank, a lid that goes down slowly on it's own and a great flush! The height is great for all of my older friends! How does the tank lid come of? Can it slide forward or is there a clearance needed to lift it up then off? I am replacing a height of 29 inches in a 30 inch clearance space so not sure if it will work unless I cut off the overlying vanity ledge. Can I get the handle in chrome? How do I adjust the water level in the tank and bowl? I need it to be higher. Just installed and noticed there is a dial with numbers on it located on the fill valve. I can turn the dial and see different numbers like a setting of some sort. What do those numbers represent? 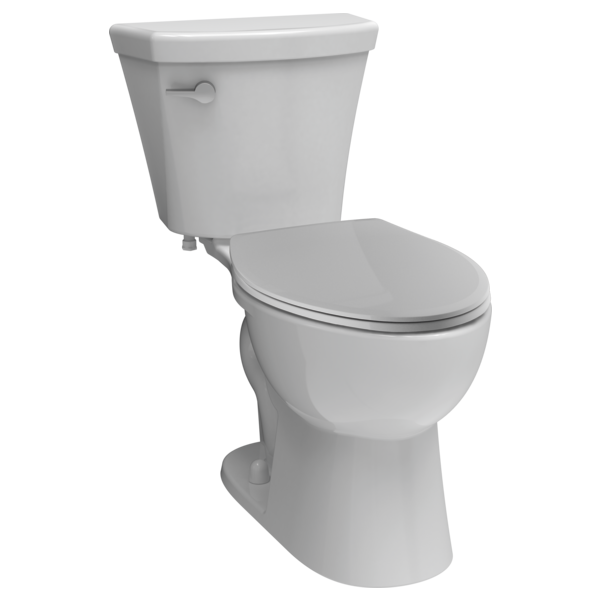 Does delta make a toilet for use in corners (with triangular tank)?